Hello! 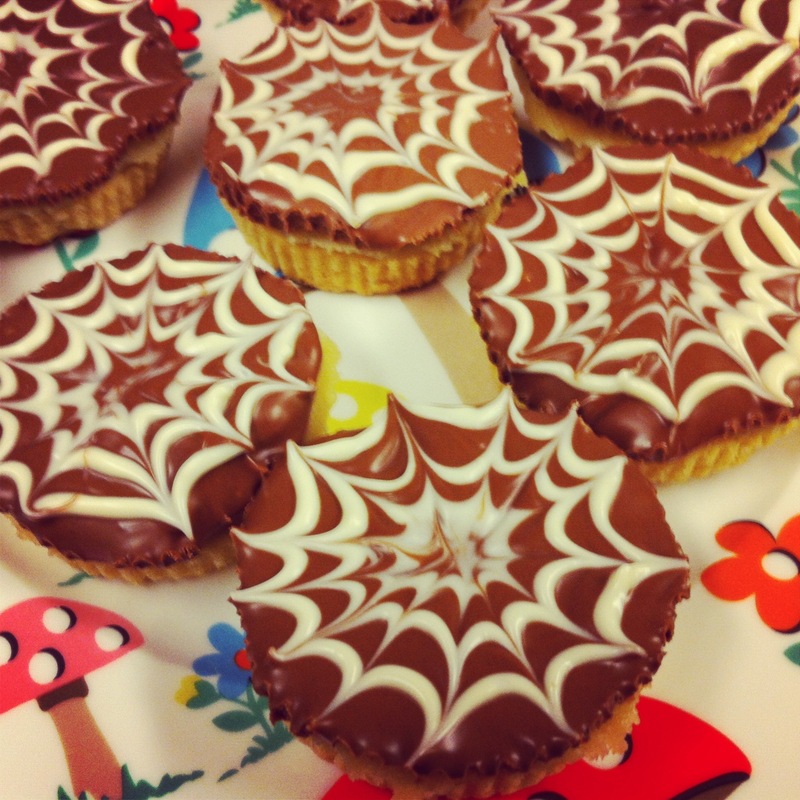 Welcome to my blogful of cake! Welcome to Day 7 of the 12 days of Christmas on Ellie Bakes, where I will be sharing a festive recipe every day until Christmas Eve. I think Christmas is the best time of the year for baking, and I have lots of great recipes to share! 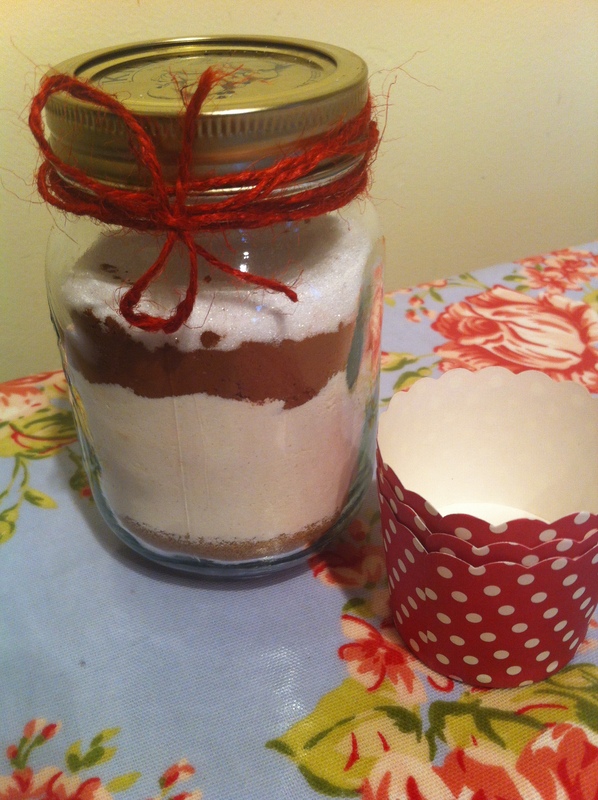 These cupcake jars are perfect as last minute Christmas presents, as they can be assembled with ingredients you’re bound to have in your cupboard. They look really pretty when layered up, and would be great as a gift with some cupcake cases or even a mini wooden spoon. Welcome to Day 3 of the 12 days of Christmas on Ellie Bakes, where I will be sharing a festive recipe every day until Christmas Eve. I think Christmas is the best time of the year for baking, and I have lots of great recipes to share! 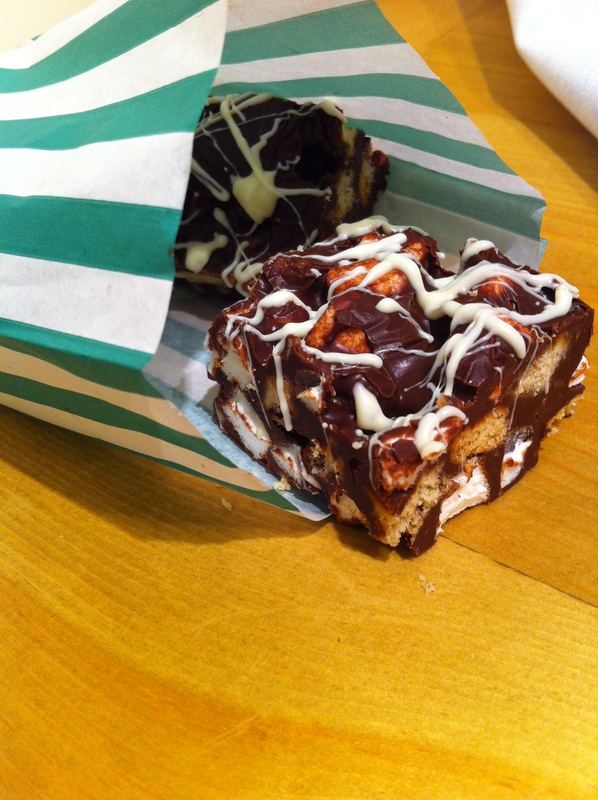 These rocky road are the perfect Christmas gift, as they can be cut into neat little squares, which, when packaged in little paper bags with ribbon and labels look really cute. They would be great to give to teachers, relatives, or chocolate loving friends! A couple of my friends (who shall remain nameless!) 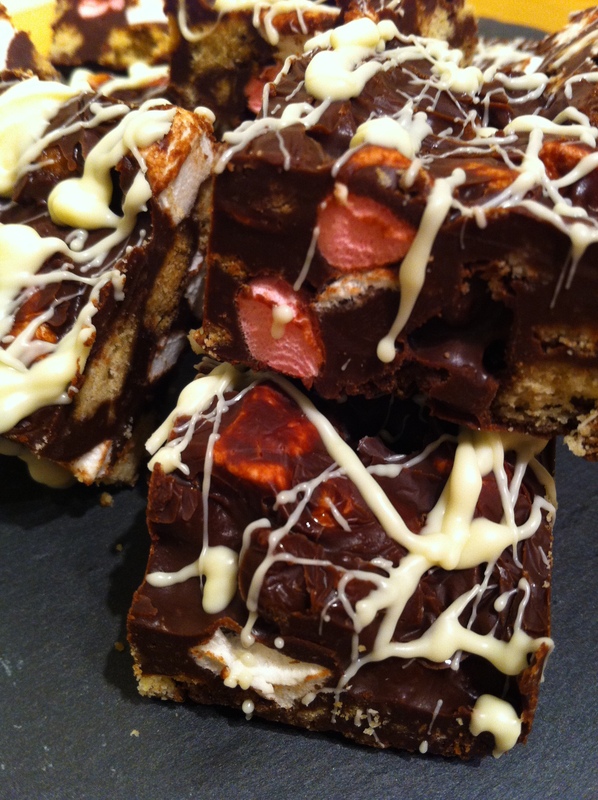 hate it when I put raisins in my rocky road, as they are ‘too healthy'(! ), so for them I have made a plain version, simply with biscuits and marshmallows. I’ve also put the ingredients for a Christmassy version, with orange zest and ‘healthy’ dried cranberries.